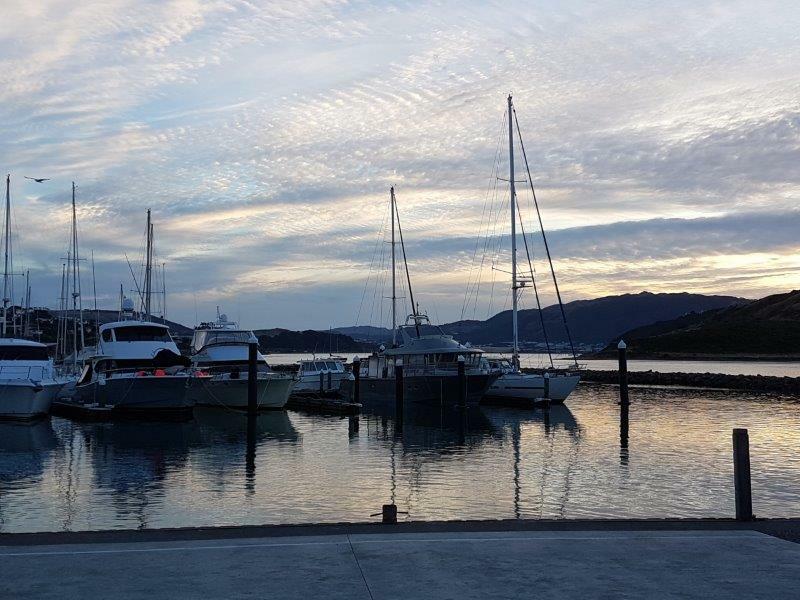 It was back to Mana Cruising Club for the start of the second half of the 2018-2019 Rotary year and, once again, we were able to appreciate the beautiful surroundings we enjoy for our weekly meetings. Rachel Carr and Lee Wilkinson brought us up to speed with the latest developments at Wellington Free Ambulance, its history and exciting future plans. You can read Mike Doig's report here. 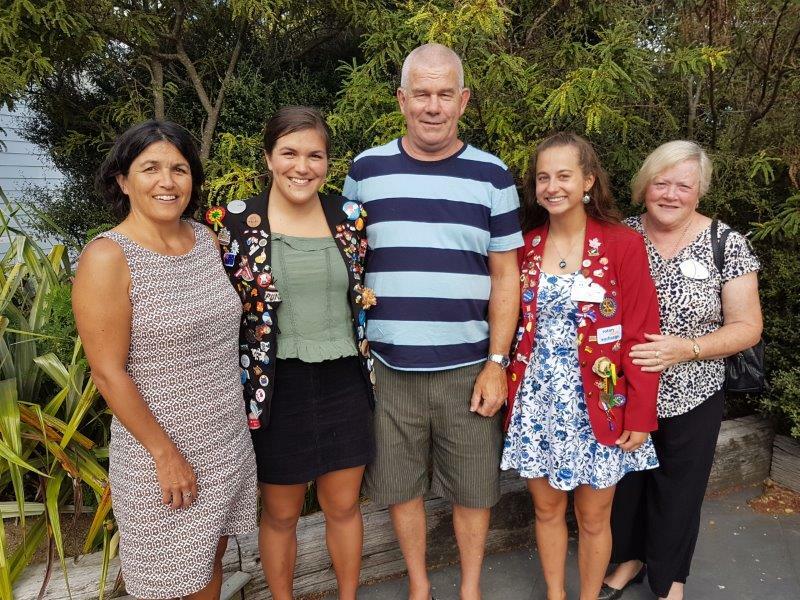 In addition to welcoming our visiting speakers, it was delightful to welcome Rosie Darrah, recently back from Switzerland, and her parents, Mark and Adrienne. Rosie gave us an entertaining insight into her year in Switzerland. She said it was one of the greatest years of her life and it was clear that she had enjoyed a wonderful experience. (Her pptx slides will be available next week). 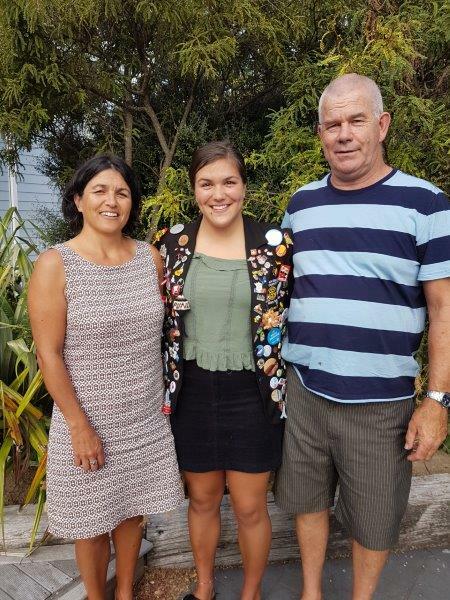 She thanked club members who wished her well as she sets off to study Health Sciences at Otago University. Gaylene Lines joined us to support Rosie and hear her returning speech. She also brought along Olivia Goodridge from Canada who is currently being hosted by Tawa Rotary. Gaylene spoke briefly about the International Youth Exchange programme and thanked the club for all we have done in the past. She hoped that we might host again in the future. And Jenny Dawson was also with us, interested to hear about Wellington Ambulance, following the recent heart attack she suffered in the nether regions of the South Island. Following recognition of Angus Langbein’s 50 years of service with Rotary in November, he has resigned as an ‘active’ member of the Rotary Club of Plimmerton and the Board has conferred honorary membership on him. Peter Turner stepped down this week from his position on the door, a job he's held for twelve years. President Donna expressed her grateful thanks for his years of service. We are looking for a replacement so if you are interested, please contact Donna or Euon. President Donna repeated her thanks to the Reidys for their wonderful hosting of the Inner Wheel Pizza and Plonk afternoon on 21 January. And she also thanked Euon and the Admin team for the lovely casual start to the Rotary year last week at Ruby's. President Donna asked for ideas to help form a Plimmerton Satellite Club. Who do you know between the ages of 30-45? Is it the age, perhaps, at which you joined Rotary? Donna said that she valued the hours that members put into the club. She had spotted Peter Lillico collecting firewood and she knows how many hours members are giving in the lead up to the Book Fair on 30-31 March 2019 to help Allan Nichols and his team. Megan Davidson, who works at Land Information New Zealand and was put forward by Graeme Blick, attended RYLA last week. Donna acknowledged Wendy for giving two presentations to the 40 participants and confirmed that Graeme will schedule a date for Megan to come and tell us about her experiences on the programme. 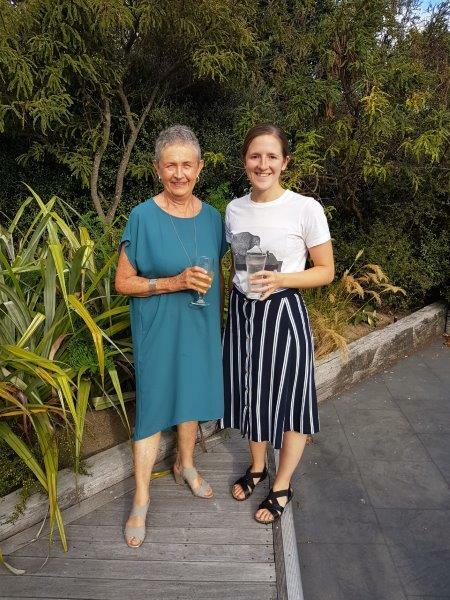 In next week's Update there will be news about the school we helped to build in Belola and also about Maisy Bentley's forthcoming trip to New York to bring the voices of young kiwi women to the United Nations 63rd session of the commission on the status of women. January is/was Rotary Vocational Service month. President Donna gave us some ideas about what we might do to focus on this important avenue of Rotary service. President Donna received an invitation from Habitat for Humanity over the Christmas break to lead a tour. She can't take the offer up personally but wonders if anyone else in the club might like to. Here's their newsletter. 2019 marks 30 years since Rotary International (RI) formerly enabled women to join Rotary as Rotarians. Since then, the direct contribution of women in Rotary has soared. RI is keen to recognise the work that Rotary women through NZ and the Pacific do publicly and behind the scenes. and to publicise this on Facebook and the Rotary Oceania website. They are seeking suggestions from Rotarians or those involved with Rotary. Please let President Donna know if there is anyone whose name you would like to put forward. We have heard from our human rights global student, Jessica Sebastian, who has made contact with the Rotary Club of Frankfurt Oben. She sends her good wishes. She flew to the UK to catch up with family for Christmas. Her flat is shared with three others and is working out well. She made a comment about some racist challenges but is pushing through that. She has three essays due very soon but her grades are great. Please make sure that you check your upcoming duty on the roster at the bottom of this page and if you can't make your duty, follow the instructions for making a change! What's coming up in January and beyond? Next week, 5 February, is the first planning meeting of the New Year. There are only five more months in this Rotary year so get those creative juices flowing! Tania Woodcock and Mike Doig will be giving Viewpoints. 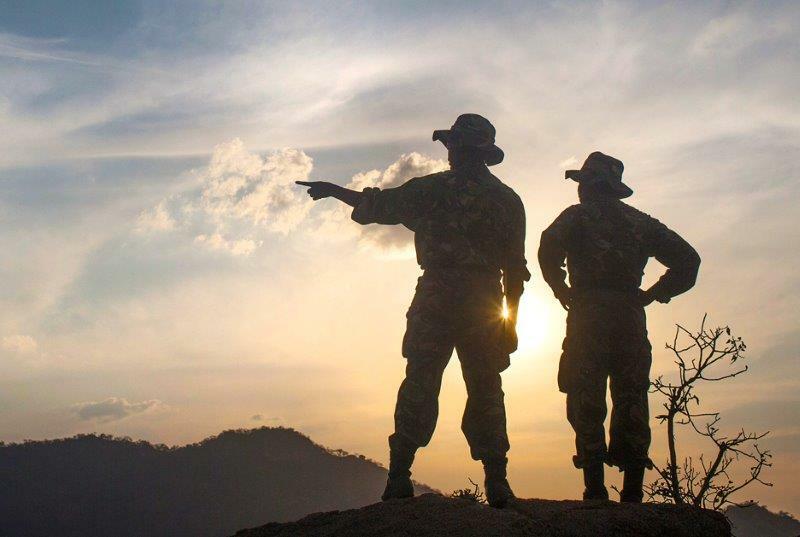 Debbie Mair has promoted the Black Mambas, the team of women with whom she was involved in training to promote antipoaching, by way of a movie. The Premiere screening will be in New Zealand! This is the first big announcement for 2019, which is already shaping up to be a great year for The Black Mambas movie. Screenings at the Wellington Independent Film Festival will be at the Time Cinema, February 8-9, 2019. Please let Donna know if you'd like to go. Jo Allerdice and Andy Sole will be coming to talk to us on 12 February about how Little Sprouts got started, how it grew and where it is going. For information about meetings further ahead, please go to the Events page. More meetings will be uploaded soon. Check out the District 9940 Conference 2019 website, and the Conference Facebook page, which are both live. The Earlybird registration discount is available until 28 February 2019. This is going to be a conference to remember, so get in quickly. We also ask that you share the Facebook page widely among your Rotary friends. Looking well ahead, a viewing of the movie, Daffodils, will be showing at the Light House, Pauatahanui on Tuesday 2 April to raise funds for Emergency Response Kits. More information will be available nearer the time but make a note that the planning meetings for April will be moved to the following week, 9 April. The main purpose of showing the movie is to raise funds to sponsor two Emergency Response Kits, valued at $700 per kit. You can read more about the enormous benefits that Emergency Response Kits provide following disasters around the world. Jenny Lucas joined a family group at Wellington airport on 23 January to see off Annie Grenfell to Chile. From left to right are her big brother, Kirke, Ben Sawry, Annie, Diana Grenfell, Richard Sawry, big brother's partner Merenia and Jenny herself. Rotary members have pushed Polio to the brink of eradication, delivered clean water to those in need throughout the world, improved our local communities, provided scholarships to the next generation of peacemakers through our Peace Centres and continued to do good in the world. What Rotary means to YOU. Roger Banister took his parting through from one of many quotes by Kahlil Gibran, 1883–1931, a Lebanese-American writer, poet, visual artist and Lebanese nationalist. 'I sleep and I dream that life is all joy. I wake and I see that life is all service. I serve and I see that service is joy'. Unable to do your duty? Please find a replacement and inform Philip Mottram. If you're a late 'no show' please tell President Donna. Original generation time 1.4824 seconds. Cache Loaded in: 0.0302 seconds.